Mourvedre – a red grape variety grown in three big countries. Mourvedre is a red grape variety that is grown in a lot of regions of South Africa, Europe and the Americas. Its most notable regions include regions of the Rhone and Provence of France, Valencia and Jumilla in Spain, California and Washington in the US and regions of South Australia and New South Wales of South Africa. Mourvedre is one of the most popular red varieties used to produce some tannic fortified and varietal wines that are high in alcohol and acids. It’s a difficult variety to grow wing to its weak resistance towards viticulture hazards as well as selective preference for the sun’s orientation since it cannot be grown well without the sun facing it. The vine’s requirement for a warm weather and selective irrigation can also pose additional problems for winemakers. Mourvedre’s past is pretty rich and goes back to the Phoenician period. The grape is of certain Spanish origin, although most of it is now cultivated in France. The grape was certainly introduced by Phoenician traders around 500BC, making it one of the oldest vine varieties to be cultivated in Europe. Also known as the Mataro grape. In Spain, the variety grew around the region of Valencia for hundreds of years when it started spreading eastwards into Provence and Rhoneof France. The grape’s name has linkages to Murviedro which used to be its Spanish name. However, since the 16th century saw an upward trend in the grape’s popularity by the French nobility and popularised by the crown, Mourvedre became its more popular name. The grape became one of the best red varieties in France until the phylloxera struck, damaging almost all of the Mourvedre vineyards of Europe. Owing to the endemic that spread in the 1880s, several winemakers and viticulturists were forced to send some of the vine’s surviving traces including preserved seeds to the America where the variety saw large scale cultivation around California. The grape had already been sent to overseas territories before, however, the phylloxera indirectly boosted cultivation of this variety in such regions that had never before grown Mourvedre. These regions included Australia and South Africa. In Australia, Mourvedre gained momentum in the 1980s after several Australians started adopting winemaking as their formal business. Certain other theories also exist as to the grape’s origins, with some pointing out that the grape is either the parent of Mavrud variety that was once imported by the Romans. Mourvedre is an adaptable variety that can adapt to several soil types and environments. 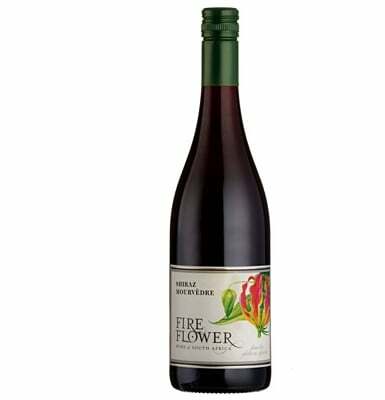 It is, however preferred to be cultivated in warm weathers that have relatively moist, clay soils that can retain the moisture needed to keep the vines’ ‘feet’ wet. It is also selective when it comes to facing the sun since such slopes and hills that are sun facing as well as get appropriate winds to protect it from viticulture hazards grow the best Mourvedre. Mourvedre is a budding and late ripening variety that gives very fruity, acidic flavours, reminiscent of prunes and dark berries. It is not very resistant to viticulture hazards and fares very poorly in front of things like the mildew and downy mildew. The grape clusters are compactly packed in conical forms giving berries strength, although this increases the susceptibility to mildew. Mourvedre vines are very vigorous and can produce some of the largest vine canopies, demanding cultivators to make use of canopy management techniques as larger ones can inhibit sunlight from passing through and being getting received properly to the berries. In Australia and California, vine growers use bush trained methods for canopy management as they have ben dong for the last century. When fully ripe, Mourvedre produces some really fruity wines. Some of the dominant flavours include blueberries, blackberries, plums and oak, if aged in oak barrels. Other notable hints of black peppers, violets, rose, smoke and gravel can also be experienced. Colour of Mourvedre is usually a dark maroon with a light, purple-pink rim. Tannins are high and medium acidity gives Mourvedre a classic red wine touch. Mourvedre goes very well with lentils, wild rice and portabella mushrooms. Use black pepper and soy sauces to add intense flavour is also one good way to add to the delicacy with Mourvedre. Here you see the wines of the Mataro grape as we currently have no Mouvedre grape wines in the system, and Mataro is it’s synonym!